One of my favorite places to get coupons are the coupon inserts in the Sunday newspaper. I highly recommend checking out Sunday Coupon Preview each week to see what coupons will be in your newspaper. Get a great deal on your local newspaper subscription and you’ll save even more money! A great source of coupons for grocery and baby care items. The coupons change monthly – but check back because new ones appear periodically throughout the monthy. Problems printing coupons from Coupons.com? Click here for FAQ’s. You know the coupons you get in the Sunday paper? Well, here are more of them – only usually higher value! Problems printing coupons from SmartSource? Click here for FAQ’s. Great, high-value coupons from the same source as your Sunday paper. Problems printing coupons from RedPlum? Click here for FAQ’s. Some great coupons from the brands you know. AND you don’t have to install any special software on your computer to print these coupons. Target coupons. Target has an extensive coupon collection that offers a mix of manufacturer and store coupons. Combine the coupons to score some fabulous deals. And don’t forget to download the Cartwheel app on your smartphone for additional savings. SavingStar. Pick the digital coupons you want online and automatically load them to your favorite store loyalty cards. Instead of getting the savings at checkout, the money you save is deposited into a SavingStar account you can cash out later. Cellfire. Save digital coupons to your grocery store loyalty card, then swipe the card when you check out for quick & easy savings. Cellfire is available at thousands of stores across the country. Favado. Download the free Favado app on your smartphone and you’ll be well-equipped to save up to 30% or more on your groceries. The Favado app makes it very easy to find the best deals and the coupons to pair those deals with for maximum savings. iBotta. 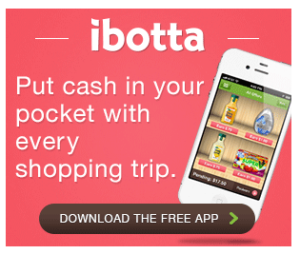 Download the free iBotta app to your phone and you can earn cash back on groceries, household goods, restaurants, online shopping and more.. Simply select the offers that appeal to you and follow the on-screen directions. Then purchase the items and take a photo of your receipt. You’ll get cash back when you’re done. Checkout 51. Download the free Checkout 51 app on your phone and you can earn cash back on groceries and household items. Checkout 51 works at ANY stores, and often has cash back opportunities on fresh produce and milk. Still looking for more deals? If you’re looking for ways to save when you’re shopping online, be sure to check out our searchable database of online coupon codes to help you save. Note: This page includes affiliate links that help support this site at no additional cost to you. Please see our disclosure policy for more information.